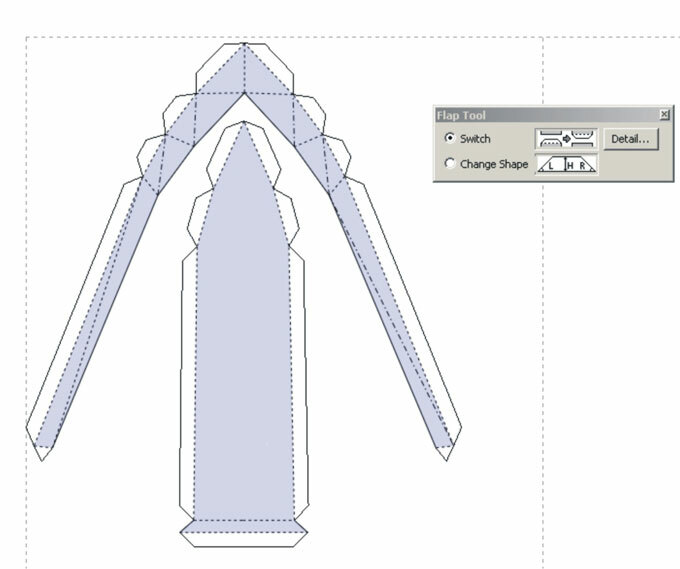 Unfolding 3D Model in Pepakura Designer Tutorial	. 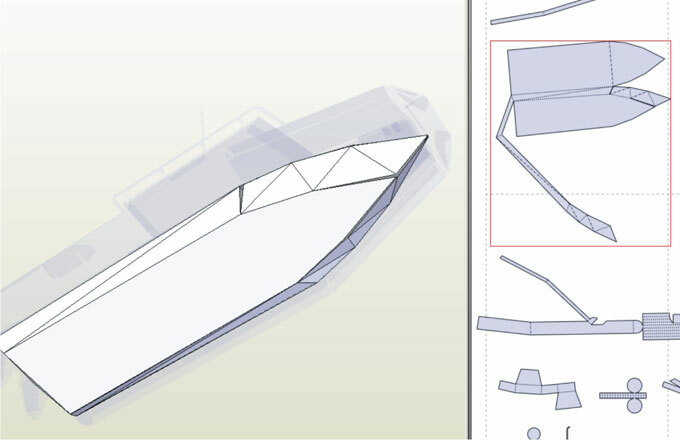 Now we have boat.obj file opened in Pep, as you can see that we have chaotic parts in unfolded 2D window (right). Don’t worry it always like that if you press Unfold button (automatic unfold), this is the step where human brain must taking over. Simplify the way you see things could easier to manage. 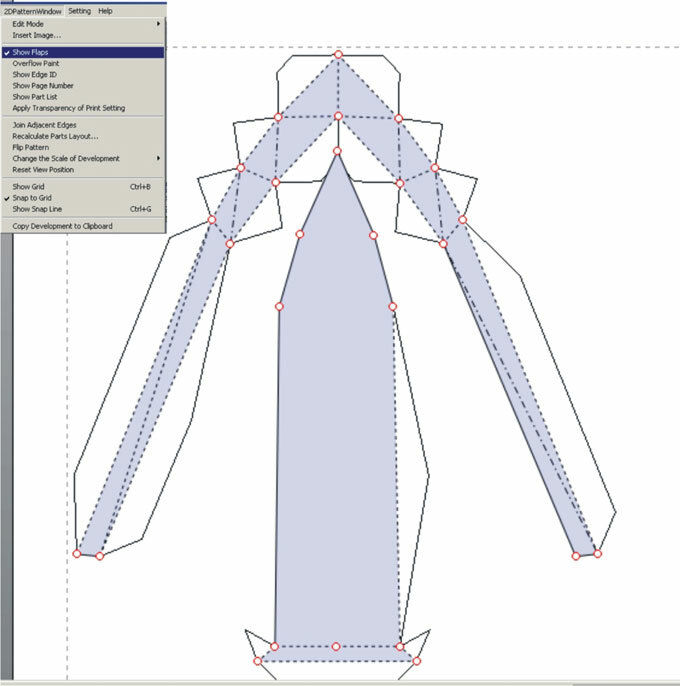 On 2DPatternWindow toggle off Show Flaps. By doing that you can hide confusing flaps (glue tabs). 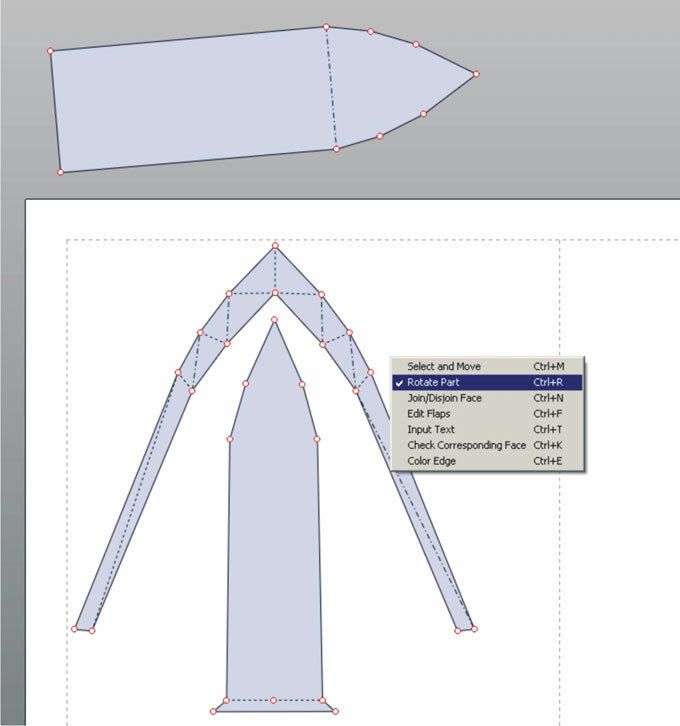 on the right window you can see the unfolded parts are already without flaps, now you can layout them up. Before you do that, first you have to set the scale which we already have the variable from previous tutorial. it is 1.707677. 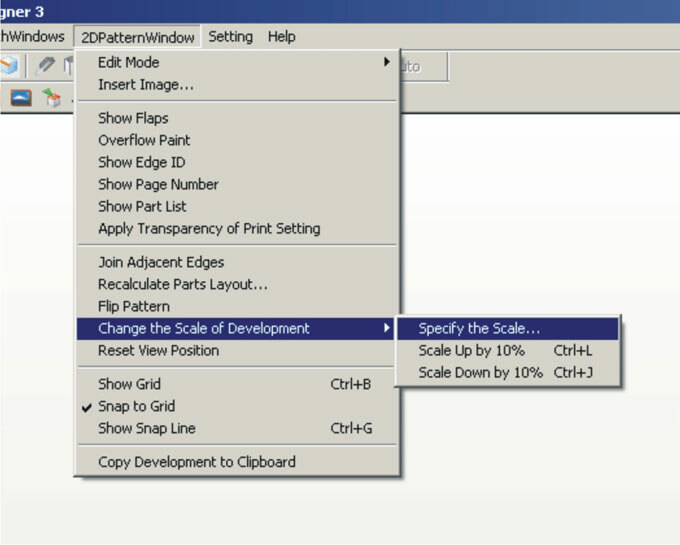 Change the scale variable with that value, on 2DPatternWindow menu, choose Change the Scale of Development and choose Specify the Scale, it will open Change Pattern Size window, enter the value and click OK. On right window you can see the size of paper is changed. Now the parts are bigger and in the correct scale, which is 1:50. 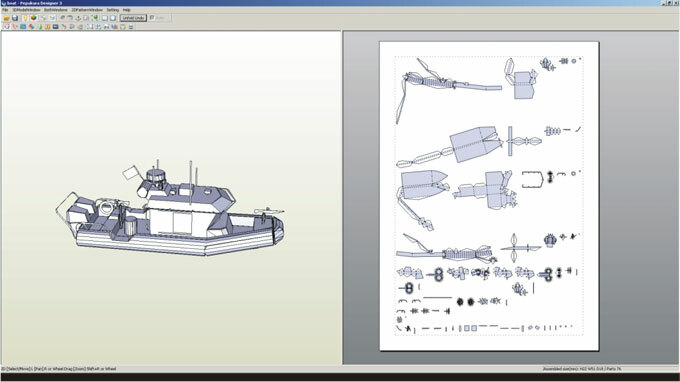 Now I am going to layout those scattered parts, I start with the boat hull or the biggest part. Click on the right window (2D window) you will see a window popped up with seven functions. Select Check Corresponding Face, this function is to look for corresponding face in 2D window from 3D window. Now click on the boat hull in 3D window, you can rotate view the 3d boat by holding right mouse button on 3d window and drag your mouse left right or up and down. 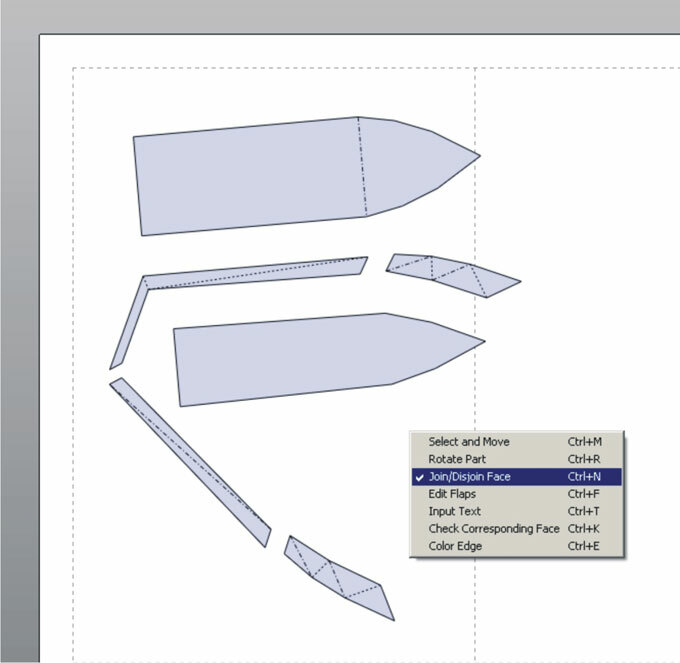 Notice the hull that you clicked in 3d window corresponds with a part in 2D window, see a 2D part that highlighted with a red box/line. You also can click in 2D part and it will also corresponds with the 3D part, you should try clicking on other parts and see what it shows. Scroll your mouse scroll to zoom in and out, it can works on each window. Holding middle mouse button and drag your mouse in 3D window can do panning. Isolate that highlighted part for easier editing by using Select and Move function. Scroll up and down to zoom in and out. 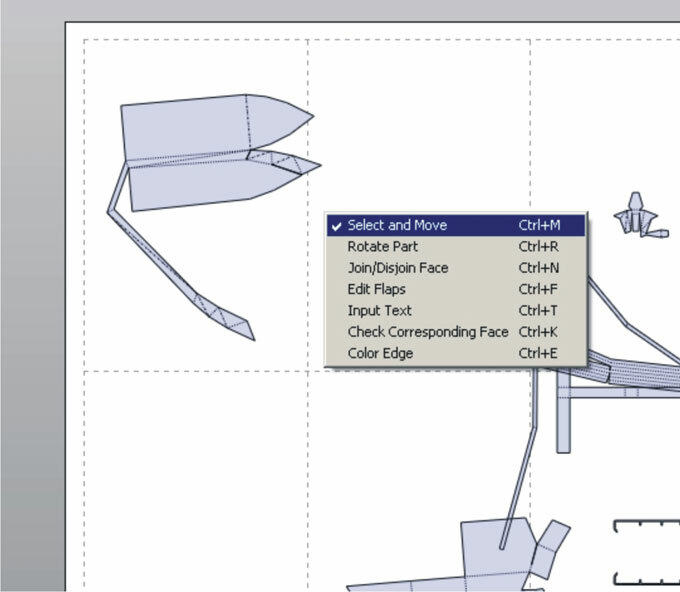 On image above you can see the efficient part and I have layout it by using Select and Move and Rotate part function. 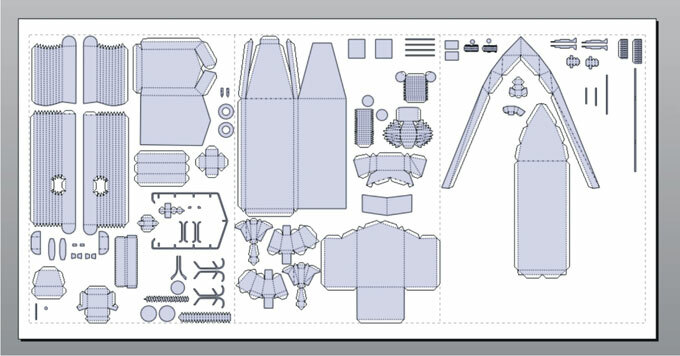 I can’t teach you on how to make an efficient part, because efficient part is relative to some people, you have to experience build many paper model to have the feel, you’ll automatically know if the part is build-able, easy to build or hard to assemble. Notice there is a part that outside the paper, it is the part that I don’t need, you can find what part it is by using Check Corresponding Face. Now setting up the flaps. 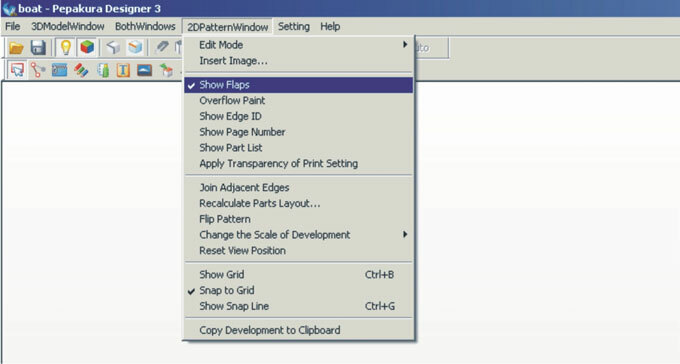 Show flaps again, then set all flaps like shown on above image. 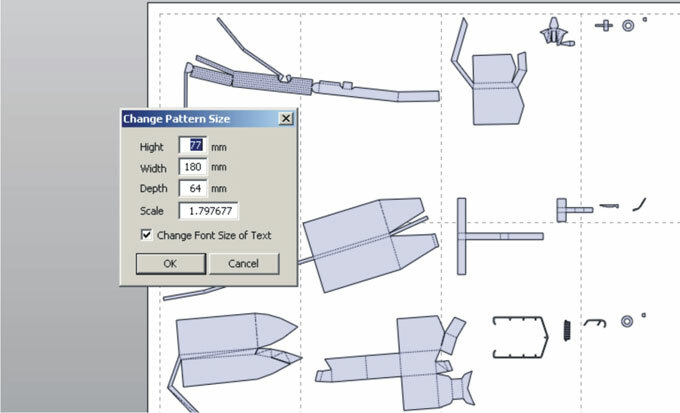 Right click on 2D window, choose Edit Flaps, choose Change Shape, enter 5 in height, set the angle into manual then click Apply to All Flaps button. Edit flaps place by using Switch on Flap Tool radio button. All the flaps already in the correct place, repeat this step for other parts until all are layout orderly. 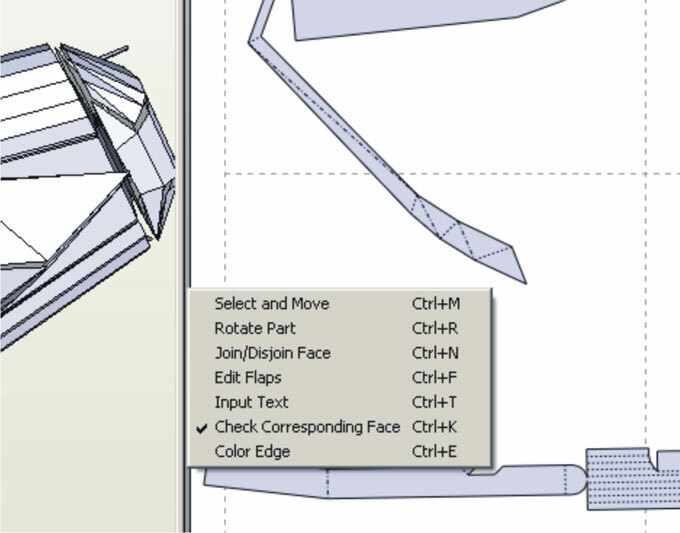 You also can set individual flaps if necessary. 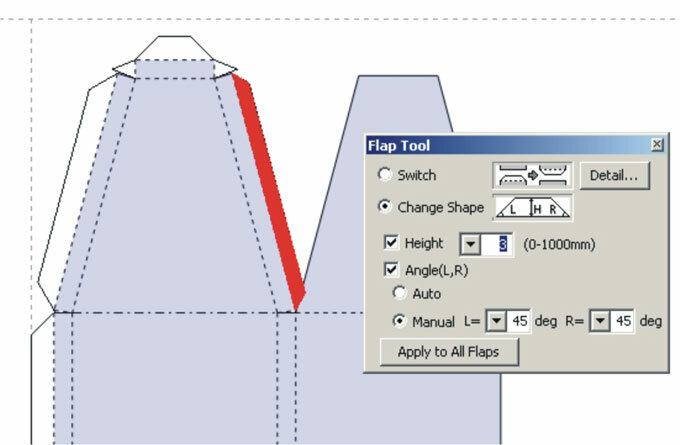 Bring Flap Tool window up by clicking Edit Flaps function then choose Change Shape, change the height into 3 mm then click on the flap you want to change individually, then close the pop up window, don’t click Apply to All Flaps again unless you want all flaps changed to 3 mm. 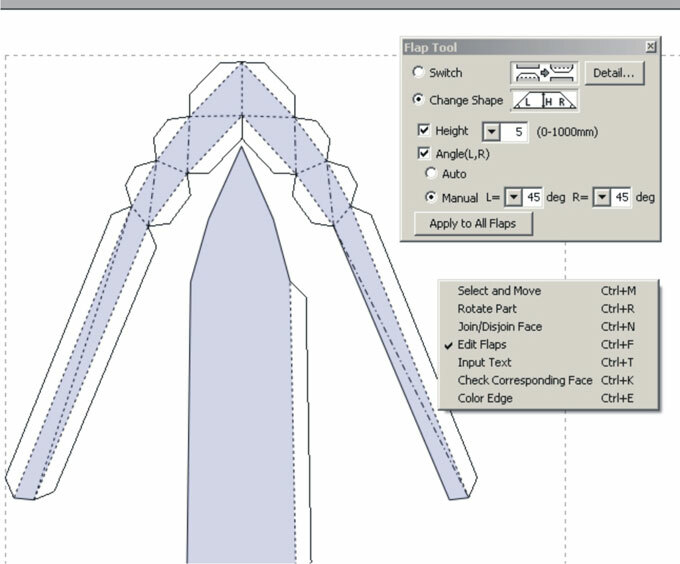 Not just flap height, angle degree can also change individually. On image above, you can see all parts are already ready for coloring which will I share how to do it in the next tutorial.